Ice cream makes people happy. It’s the simple truth that led Trish Motter to open up her first scoop shop in 2014 at the age of 23. Once a feisty kid with a big sweet tooth and even bigger plans to change the world, she decided to take the leap of faith. 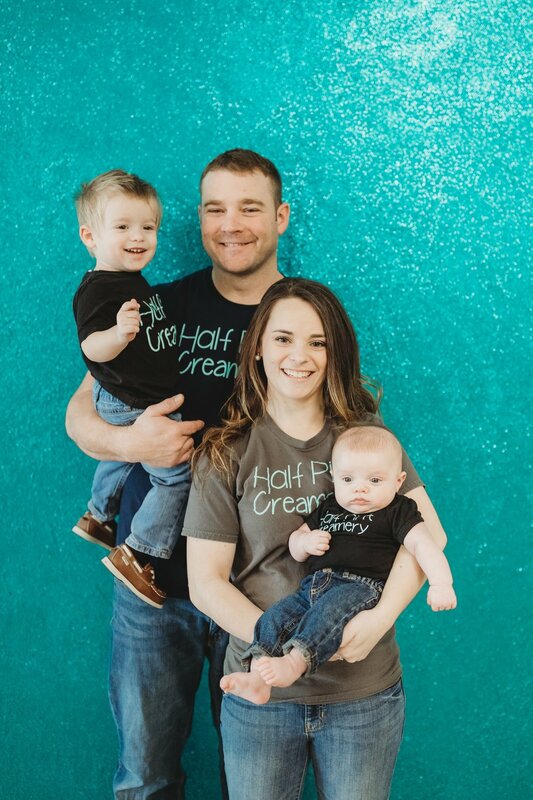 Half Pint Creamery is the product of Trish's desire to create a vibrant, welcoming community gathering place. Trish’s philosophy is that the shared love of ice cream brings people together for the common goal of pure happiness – and that’s a pretty big deal. In fact, that is how she met her husband, Travis, very shortly after she opened the first shop. In April of 2015, the two collaborated and opened a second location in Gettysburg, PA and a third location in New Oxford in 2016. Now a mom herself, Trish believes the childhood joy of ice cream has no age limit, and aims to spread happiness by serving flavors with locally-sourced ingredients and building a locally-fueled community.